Over the years, we’ve seen a ton of adorable videos of men proposing to their girlfriends and then turning to their son or daughter and asking that all-important question again, will you be mine for the rest of time? 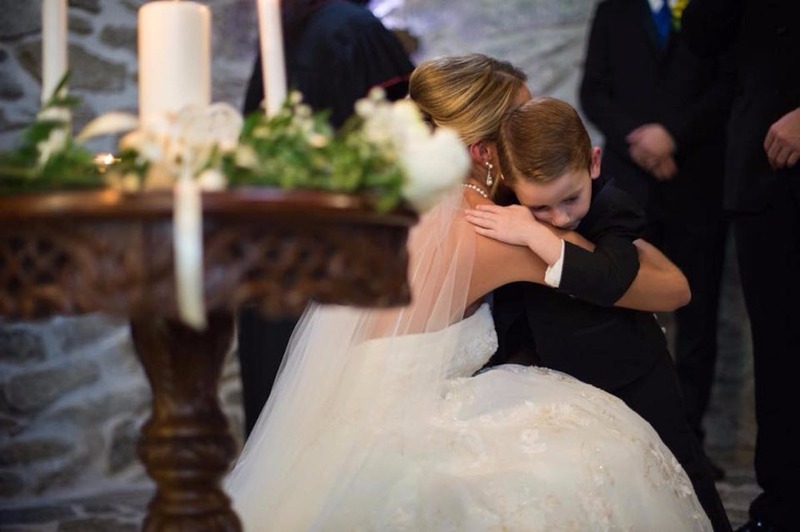 We’ve seen heartfelt speeches from the best men or maids of honor, too, children who have stood by their parents’ sides as they married their new loves and embraced their new step mommies or daddies, with open arms. But this new story, of a bride essentially exchanging vows with her husband’s former girlfriend and 4-year-old, which hit PEOPLE just a few days ago, kind of tops them all (for now ;). 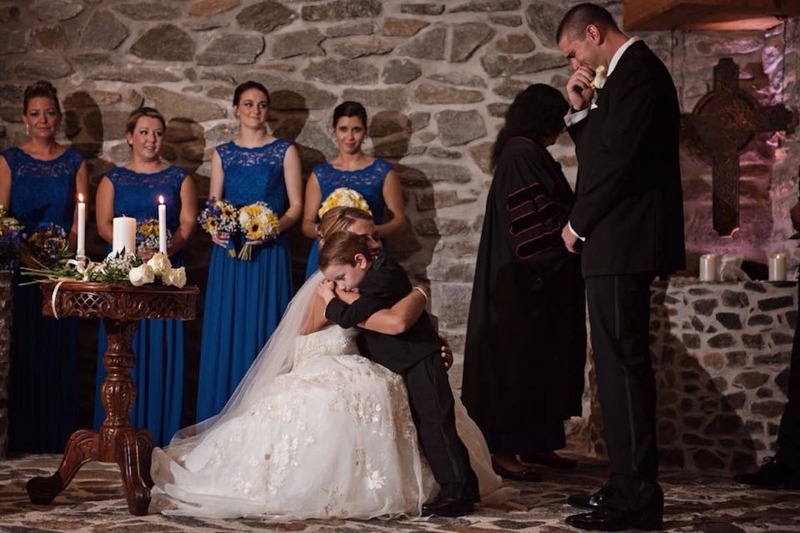 Katie Musser, 24, from Lansdowne, Pennsylvania, didn’t have a clue what she’d be getting herself into when she first started dating her now-husband, Jeremy Musser, in 2013. Early on, she learned that her guy had a newborn son, Landon, and a baby-mama by the name of Casey Bender. Instead of seeing the situation as baggage, she welcomed it as an opportunity to get to know Landon and befriend Casey - something that many brides before her would probably shy away from, real quickly, at that. 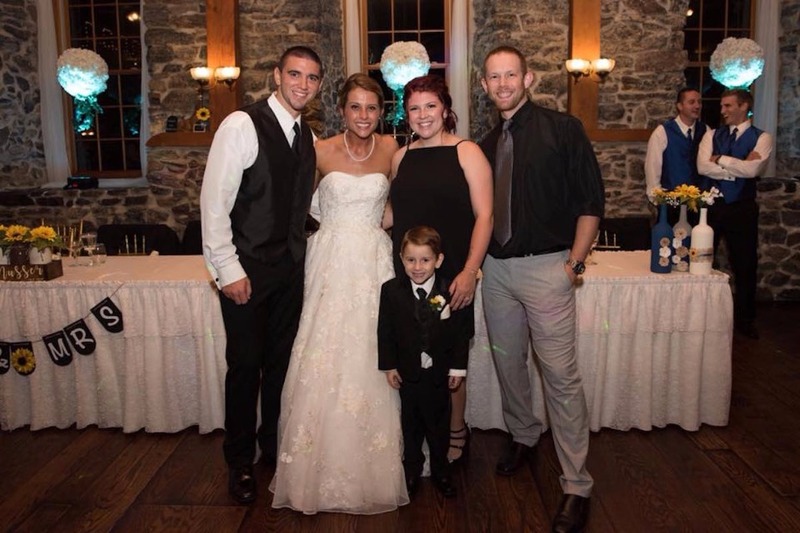 While it was rough getting along in the beginning, Katie, Casey and Jeremy all made a pact to co-parent the best they could, and over four years, the tripod proved to be model parents to Landon. Well, when it came to saying ‘I Do’ this September, Katie and Jeremy involved their entire family unit in the union and it was utterly adorable. Before turning to Landon and letting him know that she’d always be there for him, Katie opened up to the woman who she says became her best friend as they dealt with the ups and downs of raising their son together. She then knelt down before Landon and, with tears in her eyes, and poured her heart out to the little man. Excuse us, while we lose it…. The handwritten vows are everything, and something that will TOTALLY inspire blended families to come. Also, really makes you realize what weddings are all about. Not the cake, not the rings, not the rest of the things - but love, commitment, loyalty and family. And on the subject of love and happiness. Here are a few promises you can make to your bae to keep that happy couple status going strong.